Delta has been getting a lot of bad press lately regarding changes to its SkyMiles frequent flier program (including right here on the blog). But yesterday, Delta did something strange. It actually made some improvements to the program (unless you like flying on Alaska). One in particular, the earning of Medallion Qualifying Dollars, is interesting in that it heaps on more complexity to an already complex program. But that was the only way to make this work. Back in 2013, Delta announced that to qualify for elite status, or uh, Medallion status as the airline calls it, you’d have to spend a certain amount of money with the airline (or you’d have to spend $25,000 a year on the Delta Amex card). Previously, you just had to fly a certain amount and earn enough Medallion Qualifying Miles (MQMs) to make the cut. That meant you could do mileage runs at the end of the year and spend little money to squeak over the threshold. Delta didn’t like that, and I can’t blame the airline. These new Medallion Qualifying Dollars (MQDs) required spending a penny dime per mile required to achieve status. In other words, the lowest level used to only require 25,000 MQMs. All of a sudden, it also required spending $2,500 MQDs during the year. This year, the threshold went up even further. Low level elites now need to spend $3,000 during the year. For people who are actually flying enough to qualify without playing mileage run games, this shouldn’t be all that hard. And it’s not an unreasonable ask for the airline. That being said, there’s always been one awful, gaping hole in this methodology. While fares and surcharges counted toward the total (taxes didn’t), it only applied to some tickets. Those issued by Delta (or by travel agents using Delta ticket stock) counted. Anything booked on the Delta code regardless of the ticketing airline also counted. But partners? Nope. Not even tight joint venture partner Air France/KLM counted toward status. This sounds insane since technically Delta shouldn’t care if you fly on its own airplanes or those of a joint venture partner since the revenue all gets split up anyway. But there’s a technical reason why this is the case. Delta doesn’t actually know what you spend on other airline tickets except when flights are on a Delta code. Of course, when you buy a ticket issued by Delta (or by a travel agent using Delta ticket stock), then Delta knows exactly how much you’ve paid. Not only does it know how much you paid for its flights but it knows how much you paid for any other airline flights on that ticket. The money all gets settled up later through the industry’s clearinghouses, the Airlines Reporting Corporation (ARC) or Billing and Settlement Plans (BSP). At the same time, if somebody has a ticket issued by another airline, Delta will eventually know how much you paid if the flight is on a Delta code. Delta ends up being involved in the settlement process in that case, so the revenue comes in. But if you buy a ticket on, say, Air France, and there is no Delta segment in there, well, Delta has no clue what you paid. And the tech work involved along with the negotiation required to get the other airline to share revenue data is monumental. But Delta decided this revenue requirement was still a good plan, so it just outright banned other airline travel from accruing MQDs. That pissed off a lot of people. Now, however, Delta has a solution. Oh no, it didn’t get better revenue data. It’s just introducing a separate way to calculate MQDs when you fly on partners. So you’ll get something, but it just won’t be tied to revenue. And it’ll be different than what you get when you fly Delta itself. More complexity. MQDs will be awarded on partners the same way MQMs are awarded. It will be a percentage of miles flown, but the MQD value is a lot less than the MQM. And of course, Delta has decided to use different percentages with different partners. At least they publish these rates. For example, a cheap coach ticket on Aeromexico gets 10 percent of miles flown awarded as MQDs. (Those get 50 percent MQMs.) Meanwhile, the cheapest coach seat on Air France gets 5 percent awarded as MQDs. At the other end of the spectrum, a full fare business class ticket on Virgin Atlantic will get 40 percent awarded as MQDs. If you’re flying on a partner, you’ll need to look up the partner page to see what you’ll get… depending upon the partner. Delta elites will earn MQDs on nearly all of Delta’s partners. Most of the ones that are left out are the usual suspects. There’s perennial-enemy Korean, Hawaiian, Great Lakes, WestJet… and Alaska. Now that’s interesting. We all know Delta and Alaska have been brawling, but you could still earn MQMs when you flew Alaska. That doesn’t change, but you will not be able to earn MQDs. Before, if you had an Alaska flight on a Delta ticket, you could at least earn MQDs then, but that has been stopped as well. The erosion of the partnership continues. But back to the point, this is good news. It means Delta elites can finally earn MQDs when flying partner airlines. That always should have been the case. It’s just makes an already complex program even more challenging to follow. It would be nice if Delta just awarded everything this way, but that would have been too easy. Complexity doesn’t matter at Virginia Avenue anyway, because their customers aren’t supposed to pay attention to the details of the program or try to understand how it works. They’re just supposed to accept whatever happens. Awards cost whatever Delta says for a given itinerary. MQMs and MQDs are whatever posts. in fact I’m surprised they post the details, since their ability to award MQDs on partner tickets offer[s] more flexible and accurate view of [elite qualifying]. I’ve been very critical of delta here and it’s nice to see a few positive changes like 10k mileage awards (though no one knows where/when they apply). As you point out, this MQD change is not so much of an enhancement as it is fixing a defect. I wish they would make things simple. Even count all spend (taxes included) as it is much easier to calculate, even if requirements were higher. Shame bag and change fees don’t count and unused or cancelled paid tickets don’t count towards MQDs. Sky miles 2015 was a massive devaluation and unmecessary removal of transparency. It will take a lot more enhancements and simplifications to make us happy. It’s not all about what has changed, it’s how things were changed! Time to change name from sky pesos sky rubles? I agree with the post overall, but I don’t think the final conclusion makes any sense. If Delta awarded “everything this way,” there wouldn’t really be a revenue component to the system, and it wouldn’t do anything to curtail mileage runs. The bandage that they’ve put in place here fixes a problem with their system, but it isn’t revenue-based. As you say, it’s just the best thing that they could come up with practically. Grichard – But there is a revenue component in here in that more expensive fares get a higher percentage of MQDs awarded. So if you buy cheap fares, you won’t get much. This is what American is doing now as well and does effectively the same thing. Fast forward a few years and that is probably exactly what will happen. They just felt making a complete (clean) break would be too disruptive for the addicts. I agree with Oliver. And Southwest and JetBlue have already done that. Except under AA’s system, you qualify based on the greater of elite qualifying miles (entirely mileage based) or elite qualifying points (weighted by fare class). If you buy expensive tickets, you’ll rack up more EQPs than EQMs, and gain status faster. But all AA flights, regardless of fare class, earn 100% EQMs. There is no “penalty” for flying on a bunch of cheap tickets or mileage running, because unlike UA and DL, there is no minimum number of EQPs required to qualify for status. MeanMeosh – Whoops, you’re right. But that would be an easier way to go forward if they wanted to achieve the spending method. Much cleaner than what Delta and United are doing, though still quite challenging. I assume that this means that, for the 2016 qualification year, the MQD exemption for non-US residents will go away, since the main reason for that (I have always assumed) was that many/most non-US residents will unavoidably wind up with more tickets that DL can’t or won’t market or ticket, even if they are on a joint venture partner. My goodness I love you photoshop work. I guess this is one of the last straws before AS and DL officially announce they are breaking up. It looks like that relationship will never be fixed. When a corporation makes doing business with them even more confusing its time to compare them with their competitors. I don’t understand Delta’s logic by making booking a reservation more complex. Booking is easy. Just don’t pay attention to the “loyalty” program. I’m surprised they still try to explain the formulas behind it. Just list it in the booking engine. Flight 2344 from QER to OGR on January 4, 2016 earns 3434 MQM, 234 MQD, etc.. Then give folks filters on this. Sure that leaves those booking out on the GDSs in the cold, but offer to show this once its ticketed through the reservation management pages. If folks don’t like what they got, they’ve got 24 hours to cancel fee free. Seems like a lot of work and bother to foil the mileage running ‘flyertalk crowd’. Outside of the ‘flyertalk bubble’, was mileage running that prevalent and leading to such a swelling of the elite ranks? If so, this really surprises me. Current revenue based programs would make mileage running for elite status all that more expensive since the earn on redeemable miles just isn’t there anymore–especially on the types of tickets that mileage runners would flock to. Not to mention the dilution of elite status at the likes of United. Forget mileage runs– just get their co-branded credit card. The right card gives pretty much the same perks as lower or mid-tier elite fliers and that best part is that you don’t have to fly their airlines to get it–ironically. With less competition, there are more elites at each airline. With more ASMs derived from larger aircraft instead of higher frequency, the % of premium cabin has decreased. Flights are fuller than ever, meaning greater revenue maximization. Access to big data and airline profits mean bigger IT budgets to actually track customer value and ROI. Banks who provided financing during bankruptcy signed lucrative contracts for miles and benefits to their customers. It is not so much the flyertalk crowd as it is a change in the supply / demand balance of the business and more information than ever before. Airlines are experimenting, and unfortunately, we are caught in the middle and most changes are not positive for us. Frequent Flier programs should not be so difficult…..when reading articles about needing this, can only use if…..not valid on certain directions…..its crazy and makes me frustrated….i have tried to read details to redeem miles and it so confusing…..ugh….for those of you who understand the process, i applaud you…..
You guys are so much more civil than Airliners.Net! I have a question – Delta says “he marketing carrier is determined by the two-letter airline code in the flight number. So if your flight has a DL flight number, it qualifies for our mileage crediting rules. If you are instead flying a partner-marketed flight, the miles, MQMs and MQDs you earn will vary by carrier.” Does that mean if it’s a Delta Codeshare – Operated by Alaska but Marketed by Delta (so it has a DL Flt #?) that you can earn MQDs? SeanCI – Yes, that appears to still be the case for now. But even if it’s a Delta ticket but you have an AS-coded flight on it, you won’t earn MQDs on that. Maybe it’s about time FF programs go away. I for one don’t seem to get much out of being a Platnium and MM on DL other than board first on an RJ and have my gate checked bag up last. What I’d rather see is wave the change fees for high level premiums 3 or more days in advance. It gets ridiculous paying a higher ticket price plus the change fee where it’s almost impossible to make a good financial decision to change flights. God knows CVG is either #1 or #2 on the most expensive airports list and DL just announce 14 more destination cuts so we’re under a 100 DL flights a day. i feel for you. I know MEM was gutted. So far not a peep out of GE Aviation, P&G, and other biz leaders. I guess the airport leaders are resigned to the fact that the agreement with DL expires in 2016 and the clout DL has opens the door for SWA and/or JetBlue to offer biz destinations. I’m thinking of throwing my business to AA since they now offer a few more flights to where I need to go and is cheaper most of the time. Oh, my Platnium status was waved a $50 fee since I missed my flight at JFK last night. Duh, Platnium level was supposed to have same day, no-fee change I thought. At least it got me home via ATL. I’m giving up my DL Amex Platnium since it is useless too. 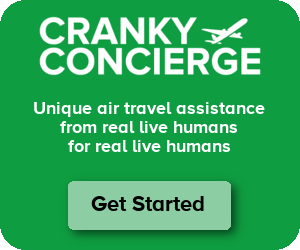 Cranky – I know this is a bit late, but you mentioned that it is a penny per mile to earn status. Just as an FYI, I believe at $2,500 for 25,000 miles it is actually a dime per mile. Ryan – Well that’s pretty embarrassing. Can’t believe you’re the first to catch it, but thanks! It’s fixed. Delta has already reached the tipping point of bad press among people I know. Slight givebacks like this are nice, but it will take a lot more to restore the trust many of us have lost in Delta. The complexity of the program by Delta only makes it more confusing and less inviting. Earning MQDs and even all FF programs may be seeing the end of their life. It is so much easier to gain points and money on credit cards and using that to purchase good flight deals. Quoted above, for truth. I just spent 20 mins trying to figure out a recent set of flights. Way too complicated, it wasn’t even a multiple of dollars spent–not nearly. Like it or lump it.